About half-way through John Cowper Powys’s epic novel A Glastonbury Romance (1933), the farmer poet Ned Athling and the teenage Lady Rachel have an argument about poetry. Ned wants to give up writing nature poetry, ‘so full of the old tags’, and turn to ‘new forms … drawn from inventions and machinery … more in line with our times’. Rachel is appalled that he wants to take such a wrong turn and change to a ‘horrible modern idea’ of Poetry (to which Powys gives a capital P). And she adds: ‘What’s Poetry if it isn’t something that has to fight for the unseen against the seen, for the dead against the living, for the mysterious against the obvious … It fights for the… for the… for the Impossible!’ Powys hypostasises the final word with a capital I. The scholarly Powys would have known his Bible: ‘The things which are seen are temporal; but the things which are not seen are eternal’ (2 Corinthians 4:18): all that we perceive has its foundations in the unseen universe; forms might alter, but the essence stays the same. I don’t know if Nicholas Hagger would include John Cowper Powys among the authors he regards as being within the bounds of literary universalism — Hagger does not mention him in his indispensable A New Philosophy of Literature (2012) — but I feel Hagger would honour Powys, with his all-encompassing vision of life and existence, accordingly. In the opposed positions Powys sets up between his two characters described above, Rachel seems to be expressing a preference for universalist and metaphysical poetry, while Ned is being seduced by the quotidian and the secular. Nicholas Hagger — poet, philosopher and cultural historian — is no mere literary curiosity, as he might be regarded in aloof academic circles. He is a literary necessity. Yet he himself admits his existence is a ‘great secret’. Why? It is his contention that Western literary culture has become depleted during the past century, having turned mainly to the secular and materialistic (‘inventions and machinery’), and away from the metaphysical (‘the Impossible’). And the literati don’t want to hear this — accepting it would upset the apple-cart! In A New Philosophy of Literature, Hagger states the fundamental theme of world literature, the main thrust of which is the revelation that the universe is ordered and permeated by an infinite reality which humans can know, and makes the case for a return to such literary universalism. Hagger shows that this traditional material has been restated in the literature of every culture and age, and that the quest for an ordering reality behind and within everyday life was stronger originally than secular writing which, of course, holds sway today with this level of awareness missing. His works establish the foundations for a new philosophy of literature which would see a synthesis of classicism, neo-classicism and romanticism within universalism and restore the metaphysical. For one might well ask the question: where is the universe represented in serious literature today? Hagger argues convincingly that, through time, literature has alternated between metaphysical and secular aspects, a quest for reality and immortality and condemnation of social vices in relation to an implied virtue. Since classical times, the two antithetical threads have been synthesised by certain universalist writers he identifies, down to the Romantic, Victorian and Modernist periods. So we are indeed fortunate to have, new from O-Books for 2016, Hagger’s Selected Poems: The Quest for the One (£19.99 / $32.95), and Selected Stories: Follies and Vices of the Modern Elizabethan Age (£12.99 / $21.95). It is immediately apparent from these two works, which serve as an admirable introduction to the Hagger literary oeuvre, that the reader is in the presence of a singular mind. Now aged 77, Hagger is the most prolific of poets, with a formidable output — his ‘monument’ — produced over more than half a century: almost 1,500 poems, more than 300 classical odes, two poetic epics and five verse plays; he has also written numerous other works of fiction, philosophy and cultural appraisal. Selected Poems provides the opportunity for an introduction to, or a re-evaluation of, Hagger’s work which, through its polished technique and synthesising sensibility, ought to mark him out as one of the UK’s most distinguished poets. He draws his inspiration from the 17th-century Metaphysical poets and seeks to unite the later Augustan and Romantic traditions. 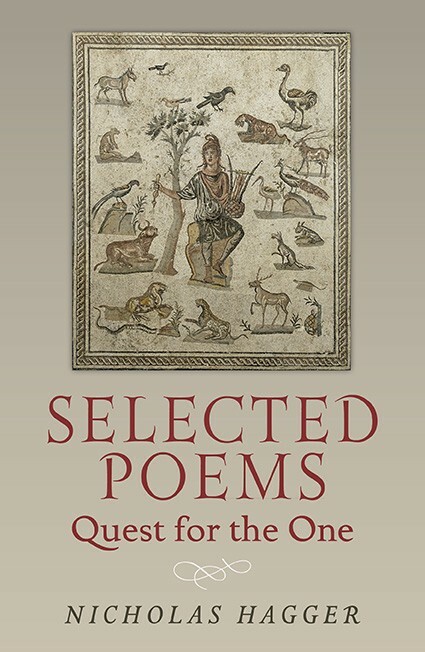 In both books, rather conveniently for the critics, Hagger has categorised his works and, as far as Selected Poems is concerned, he includes notes on themes, the basis for inclusion and setting. 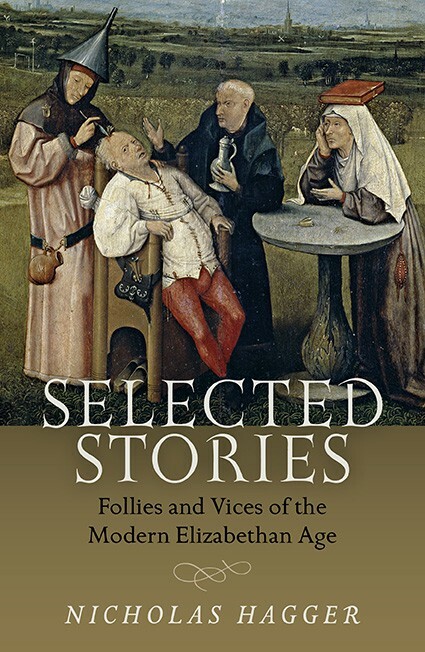 In Selected Stories, he lists the follies and vices themes which comprise its first part and the quest themes which comprise its second. Probably, Hagger would be criticised by detractors for being prescriptive, or programmatic, in this approach but, to be fair, there’s nothing wrong in his making his position clear — and, after all, all writing is informed by something. As many properties as I’ve done books. Millions come in and go out every year. The One in words, as some need prayers in church. Indeed, owning four schools by 2015, Hagger had created his own private school system, the Oak Tree group, employing 320 teachers. The first school he acquired, in 1982, was the one he attended until 1947, Oaklands at Loughton, Essex. The day-to-day running of the schools is now overseen by his eldest son. Hagger began writing full-time in the late 1980s, travelled throughout Europe and, between 1991 and 1999, had 18 books published. So few know the great secret I exist. I am ignored by all verse and prose hacks. The press, radio, TV don’t stoop to know. And quarantine them so they can’t infect. I put out leaves, shed them and then sprout more. From this high place I see tiny men’s smoke. Look on your mortality and ponder. Behind each shadow reigns a glorious sun. Selected Stories draws on Hagger’s 1,001 stories from five volumes (alluding to The Thousand and One Nights, or Arabian Nights). The two parts reflect the two aspects of the fundamental theme of world literature outlined in A New Philosophy of Literature, the stories condemning follies and vices in relation to an implied virtue and presenting moments of heightened consciousness, or epiphanies, in which the universe is perceived as a unity. Purporting to describe ‘the fortunes of an Englishman, Philip Rawley’ over five decades, one suspects that the template for these quietly compelling stories, in a way like parables, are Hagger’s own life experiences, rather than their being exclusively products of his imagination. Indeed, many of the situations that inspired the contents of Selected Poems and Selected Stories can be found in Hagger’s two-part autobiography, published in 2015. In this context, as well as that of his poetics, Hagger’s example could well be followed by writers today to their advantage and development. He well deserves the fullest attention of critics and academics, too, if they dare to give it.